Did you know it costs $24 to feed one of our hardworking therapy horses for one week? For this Giving Tuesday we have a big goal to raise enough money to feed each of our 28 horses for the whole year! This means raising $34,944 ($24 for 28 horses X 52 weeks). Our horses do important work. They are the main tools used during our rehabilitative therapy sessions and they work hard during therapeutic riding lessons. They also weigh over 1,000 pounds and eat a lot of food! Feeding our horses is one our biggest and most challenging expenses to cover as it is not covered by insurance reimbursements from our therapy services. Every dollar you donate now through Tuesday, November 27 will help us get to our big goal of $34,944 (the cost to feed all of our therapy horses for a year)! A donation of $24 feeds one of our therapy horses for a week. 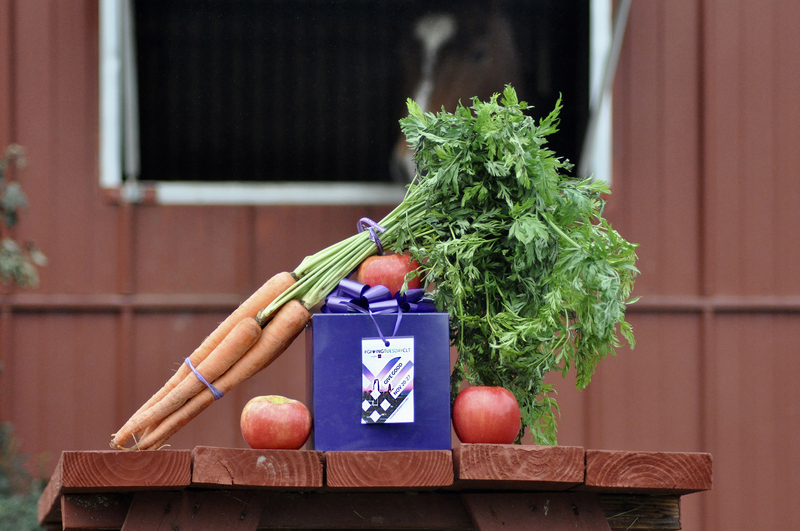 Online donations are secure and the fastest, simplest way to donate to Shining Hope Farms! Purchase an item from our Wish List. Would you like to give this gift in honor of someone for Christmas? We would be happy to provide you with a personalized card that you can give as a gift. 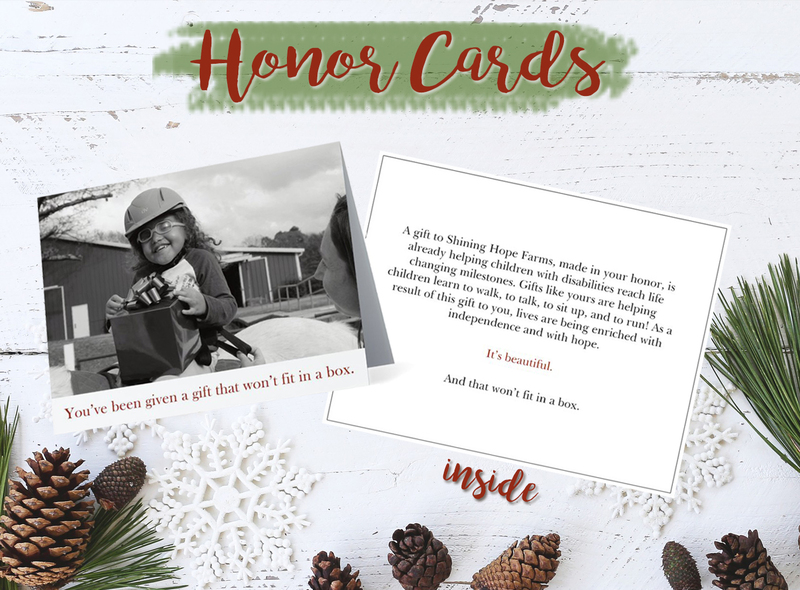 Email your request to jfarrell@shininghopefarms.org. Be an advocate! Please consider sharing our social media posts or this page to spread awareness about Feed A Therapy Horse for #GivingTuesdayCLT. Answer: Giving Tuesday is a global day of giving. After the sales of Black Friday and Cyber Monday, it’s a time to celebrate and encourage charitable activities that support nonprofit organizations. #GivingTuesdayCLT is Charlotte’s very own version of the global giving campaign, which in 2016 was the largest Giving Tuesday campaign in the world! Together with hundreds of other local nonprofits we hope to inspire over one million acts of GOOD! No gift or act is too small, and every act of GOOD benefits the Charlotte community. Learn more at givingtuesdayclt.org. Answer: With your help we can meet our huge goal this year. Our goal is raise enough money to feed our whole herd of therapy horses for one year or $34,944 to ensure that our patients can go on receiving their amazing benefits (the majority, with no out of pocket costs to their family). Answer: We’re asking our amazing community to donate the cost to feed one therapy horse for one week (or more) which is $24. We’re hoping that all together we can get all 28 horses fed for 52 weeks! You can even choose a horse to feed! Why is it so important / What does it mean for the children of Shining Hope Farms? 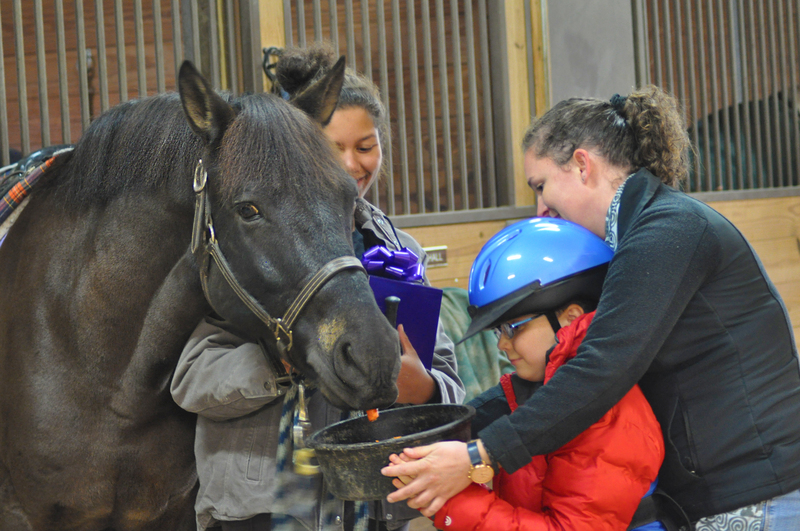 Answer: Our therapy horses do important work and have unparalleled benefits to our patients. They are the main and most valuable tool used during our rehabilitative therapy sessions and they also work hard during therapeutic riding lessons. Our therapy horses are our not-so-secret weapon behind the life-changing medical milestones children are making every day. The benefits they provide are enabling the children with disabilities that we serve to achieve functional goals—facilitating transformational quality of life improvements for them and their families. Answer: Our horses weigh over 1,000 pounds and eat a lot of food so it costs a lot to feed them! Feeding our therapy horses is one our biggest and most challenging expenses and it is not covered by insurance reimbursements from our therapy services. All of our patients have unique needs, which is why we have a wide variety of horses across our three locations that are unique in what they can provide to our patients. Hamilton is one such example. Hamilton, better known as “Hami” is a rescue pony, who was saved from a bad situation. He is one of our most lively ponies as he really loves to move! Hami is a great match for patients who have trouble focusing or feel at ease with a lot of sensory input. They love to ride Hami and experience his bouncy gait. Getting all of this sensory input can actually help them better pay attention and respond to the therapy that they are receiving simultaneously from their physical, occupational, or speech therapist.